In 1839 the first territorial government of Iowa past a series of laws that denied black residents citizenship rights like the right to vote, testify in court, act as jurors, or participate in the state militia. In addition to these restrictions, the legislature passed “An Act to Regulate Blacks and Mulattoes.” The act was intended to restrict and prevent the migration of black people to the state. Black Iowans fought back against these laws and created vibrant communities by building community networks, working with white allies to petition state lawmakers, appealing to the courts in their fight for freedom, and utilizing black military service. Dwain Coleman is a PhD candidate at the University of Iowa. 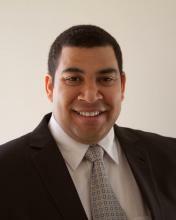 In 2016 he earned his Masters degree in history from Iowa State University with the thesis ““Still in the Fight: The Struggle for Community in the Upper Midwest for African American Civil War Veterans,” which won the Iowa History Center Award for Outstanding Master’s Thesis in Iowa History, He has previously presented at the Preserve Iowa Summit, Mormon History Association Conference, the Association for the Study of African American Life and History, and Muscatine Community College. His teaching interests include African American History, Nineteenth Century U.S. History, Civil Rights Movement, American Religious History, and Native American History.